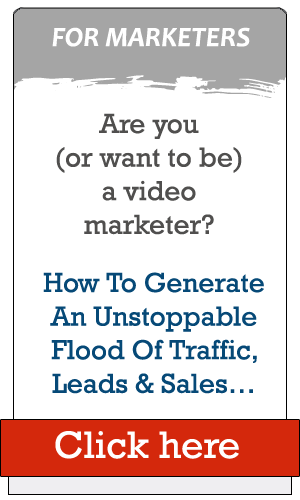 The VIDEO Is The Most Effective Marketing Strategy Today! The Only Question Is: What Is Your Way Of Using Video? 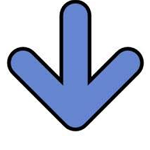 According to a report from Cisco, by 2020. over 82% of all web traffic will come from video. Not only that but, you can place your video on all your social profiles and re-purpose it however you want. 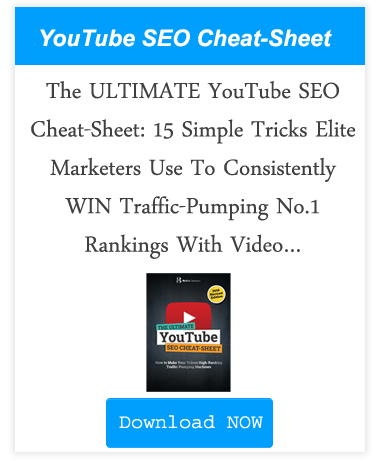 You can place it on your website, embed it on your blog post, post and share it on your facebook, upload it to your youtube account and build a youtube channel or add a small teaser snippet clip to your Instagram to gain intrigue and bring traffic to your website or other social profiles to watch the full video. 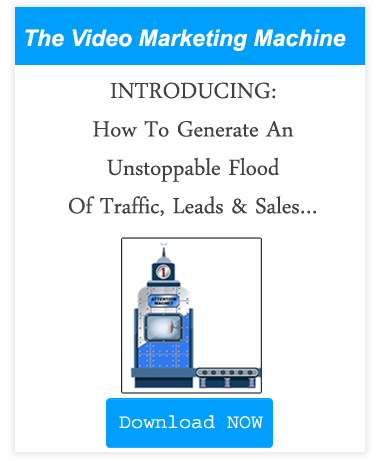 It’s been proven that using video drives better results, and helps you to gain more social attraction to your product, service and business. Maybe you think: It’s probably a combination of dedicated writers, video editors, professional software and lots of time and money. But fortunately: It is not so difficult and expensive if you choose the right tool and strategy! 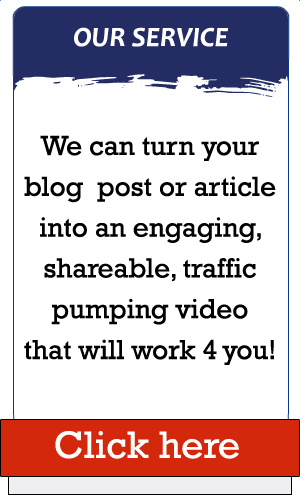 We can turn your blog post or article into an engaging, shareable, traffic pumping video that will work for you generating views and sales to your business 24/7 around the clock. Click here to contact me by email personally for more info! 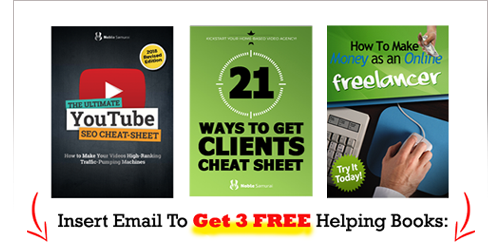 Special offer: Click here and ask for FREE DEMO VIDEO! Do it yourself. 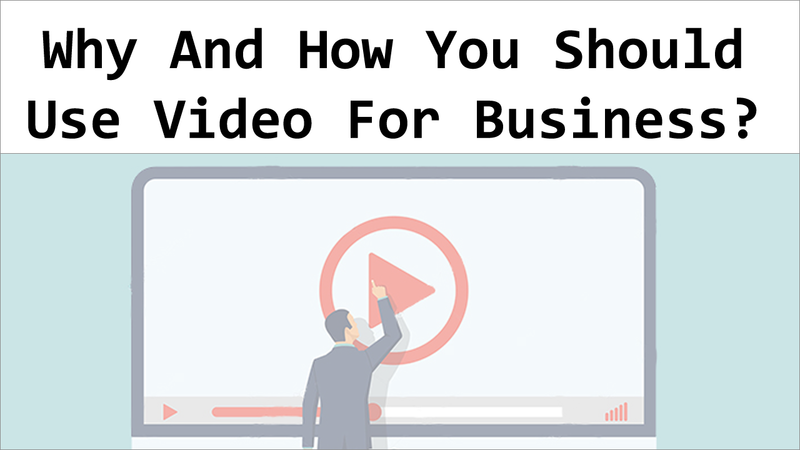 Read more about how to choose the right strategy and the right tool to use video marketing successfully for your business. 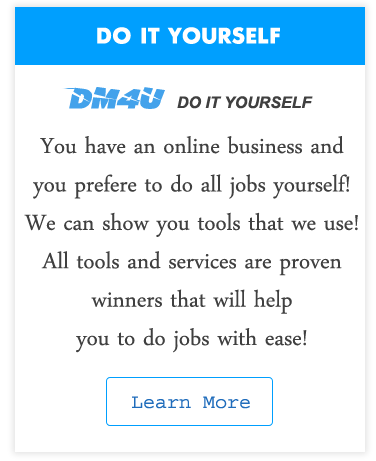 Click here to visit this web page to read more! 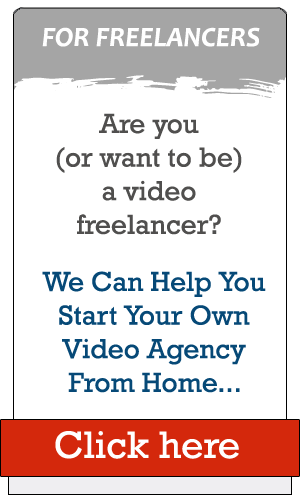 Learn how to establish your own video creating agency from home and make money freelancing videos for other businesses. Demand is huge these days. 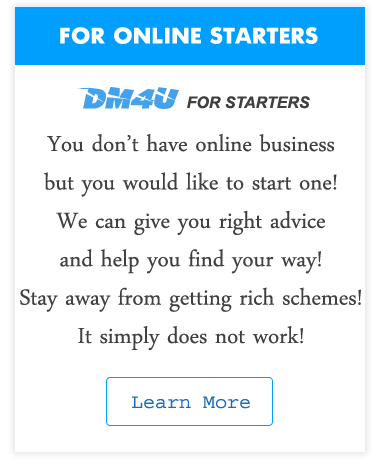 Click here to visit this web page to learn more! 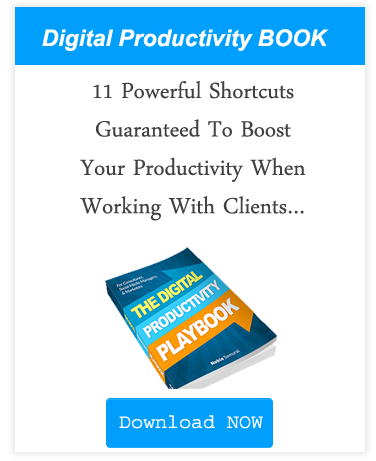 video creation system for 7 days, completely FREE! 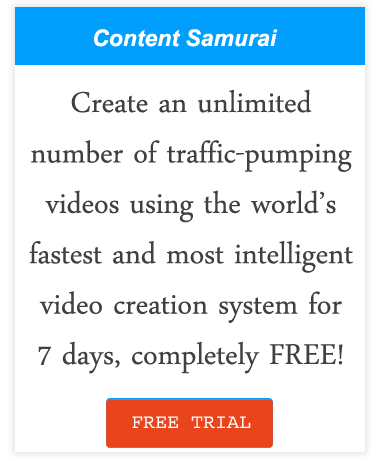 NOTE: We are not only recommending Content Samurai - we are really using that tool. 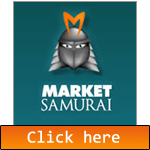 Contact us and order videos for your business and see Content Samurai in action! About us | Video freelancer | Service | Land a | Land b | TY Page | DOWN Page | D © VP4U since 2010.